This is a Philippine endemic bird. It is green and blends very well into the leaves once its perched. The male bird has blue face, the female has an all green face. It measures about 6 1/2 inches long. 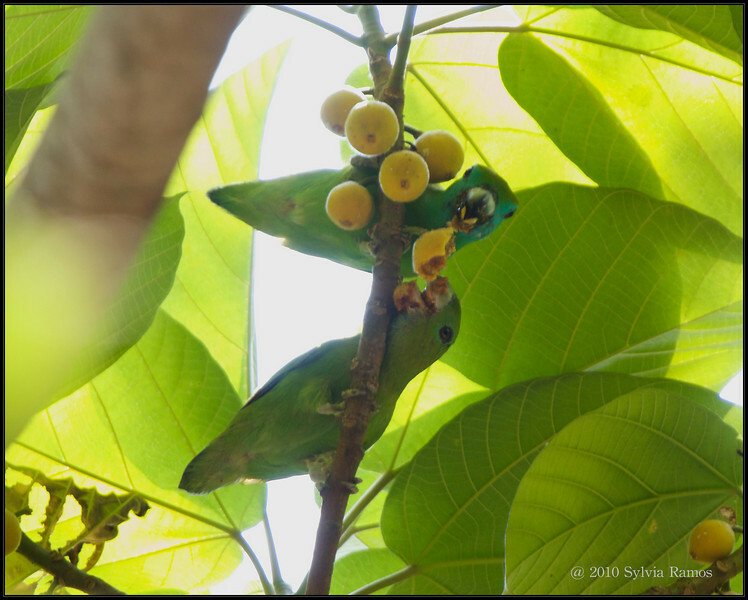 We first saw them flying around in Trees in Makiling. We were with Tina and she identified them. The first time we photographed this bird was in March 2009 in Subic, Zambales. The bird was perched very quietly on a low branch. It was difficult to see, even after it had been pointed out! It is a very, very cute looking bird!